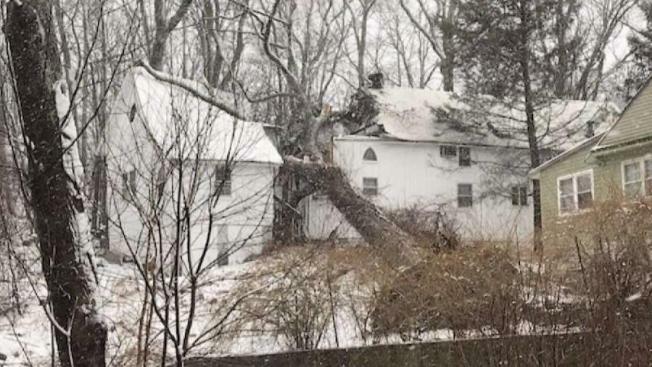 A boy was killed when a tree crashed onto his Hudson Valley home during a violent nor’easter on Friday, authorities said. The large tree fell onto the 11-year-old’s house on Dunderberg Road in Putnam Valley shortly after noon, according to authorities. The boy, who was home with his mother, was trapped under the tree, and a Putnam County sheriff's deputy tried fruitlessly to rescue him were unable to reach him, authorities said. The 11-year-old was pronounced dead at the scene. His name has not been released. His mother was taken to an area hospital. Her condition is not known. Wind gusts from Friday's nor'easter topped 70 mph in some areas.